The inside oven light seems to turn off when the oven gets hot. You can leave oven light on all night without using the oven and it stays on all night. Any ideas? What’s happening is that the oven light socket is warping as it heats up, causing the bulb to lose electrical contact. 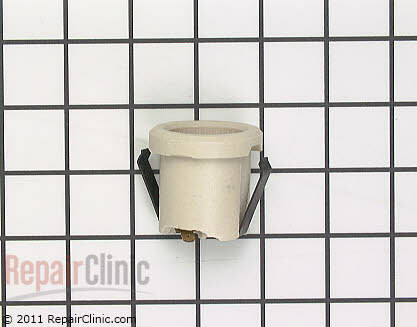 Replacing the light socket is easy and inexpensive. Watch a video on how to replace the oven light socket. You can also buy the new light socket there, too. This entry was posted in Oven Repair, Range Repair on May 17, 2013 by Samurai Appliance Repair Man.